For membership fees or to join now click here. From January - November each year the club meets on the 2nd & 4th Wednesday of the month. 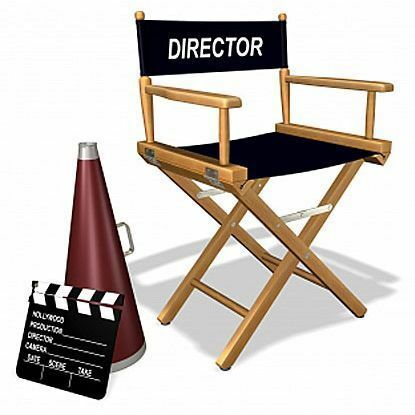 Prue Tumahai will lead discussion on how to break down a script for production. We will be looking at the Cinderella script which is to be shot for the Editing Competition. 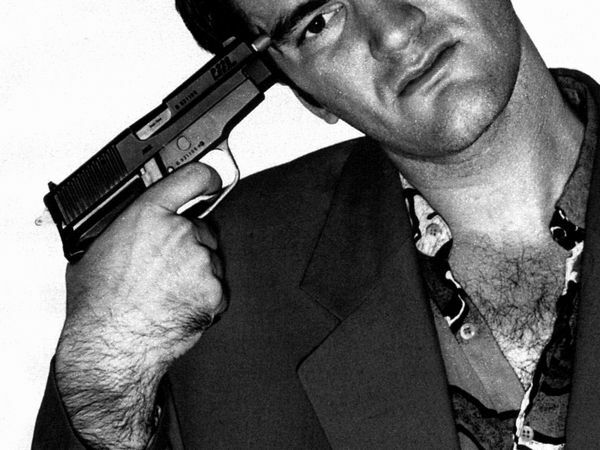 After the break Ruskin will lead an analysis of entries to Quentin Tarantino's competition and discussing the different approaches taken by the competitors. 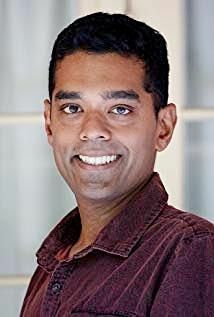 Sidat de Silva is a commercial Sydney based DOP/cinematographer, who often travels overseas and is currently part way into his film making MBA. You will find him on IMDB. Sidat was the cinematographer for the series BLIND. Sid's talk titled "The role of the cinematographer in the era of democratised video-making that is accessible to all" will be illustrated by his work and is guaranteed to be interesting and informative. 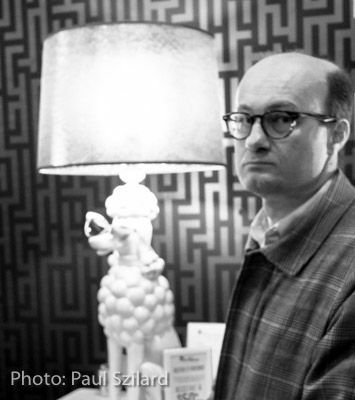 Sid says: "Please ask your members to read this article and watch this 15-minute web series before the night?" ARTICLE and SERIES. After coffee we will be taking names of any club member who wants to be involved in shooting our Common Script: Cinderella. This is open to any Teams or any financial members. Discussion on CINDERELLA script to be shot for use in Shared Footage Edit Comp. Competition results for: 30 sec Commercial on "Cars" and OPEN competition. Review of judging notes and Q&A with the film makers. Also Best Practice on script development. Bring a LIST of questions and your camera and it's manual and we will try to answer each other's questions. 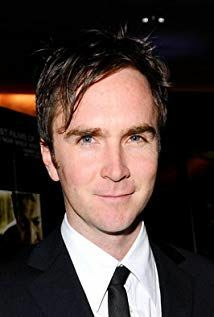 Brendan Donoghue actor/director/producer is the external speaker for the night. He will be talking about how to produce a TV commercial. 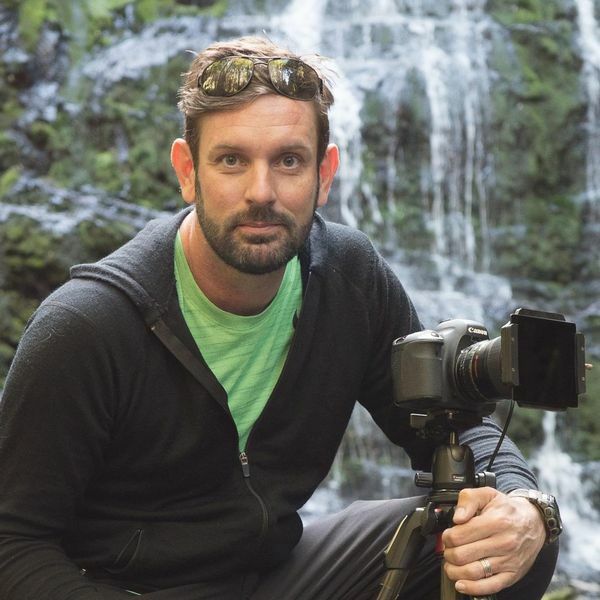 In part II, we will interview Peter Brouggy who is one of our latest members and he will be demonstrating the Zhiyun Weebil LAB gimble and Mini C-Pan arm. Just like the Oscars - only smaller! 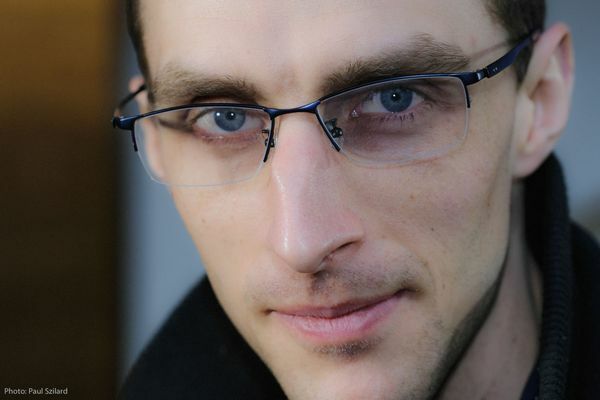 Iulian Demetrescu will run workshop on how to do Stop-Motion video. - The shared script entries will be in this evening. 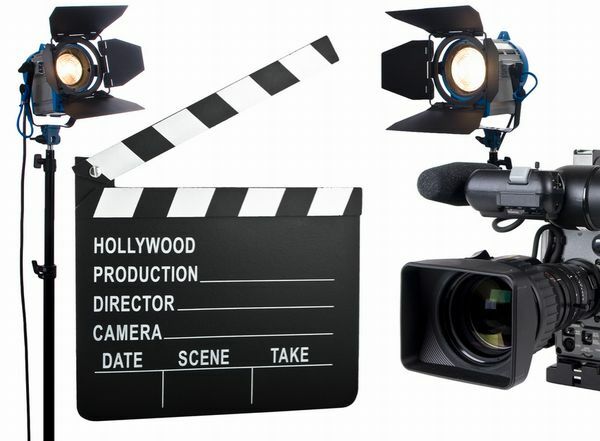 Supporting items for a shoot: Graphics, Foley & Props - will be demonstrated and discussed. Essential stuff to make your video stand out! Practical night exploring the use of Green Screens (aka Chroma Key), where the background of a scene is a single primary colour, usually green, but blue is another alternative. This is then replaced in post with a different background, such as a mountain top or city scape, making the actors appear to be at that place. We shall also be looking at some of the ground braking techniques that were used in the famous movie called MATRIX. 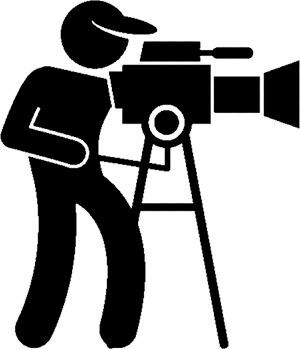 Come along for another evening of looking at an aspect of film making - options for stable camera holding without a tripod. Camera stability workshop. Screening/judging of the competition "Showcase Sydney". Demo and tutorial on the use of Quick Whip transitions, includes members workshop. 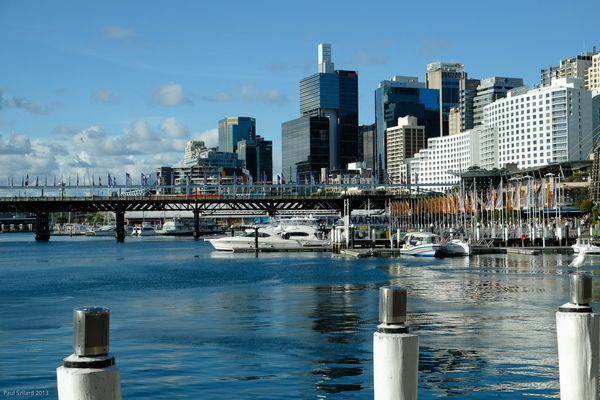 Showcase Sydney competition entries are due plus more news on the shared script. Talk and demonstration on audio techniques for shooting better movies, presented by Kent Fry. 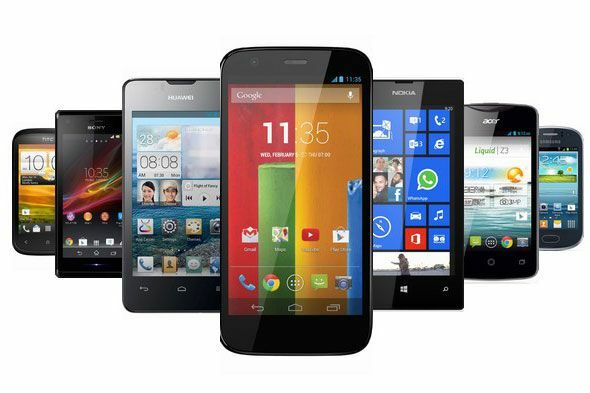 Smartphones Comp handing in night. Blocking and framing hands-on workshop. Cameras and props provided. 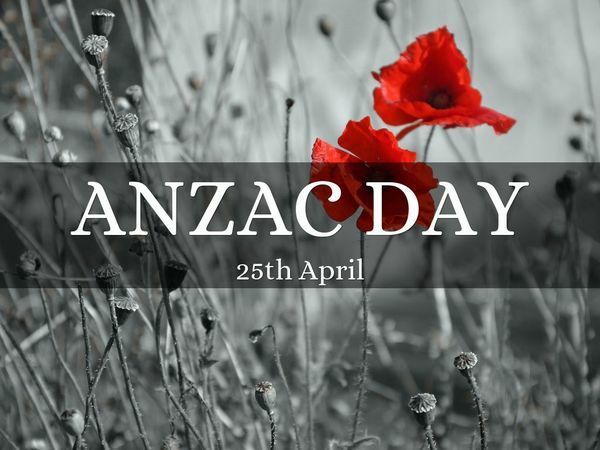 As this falls on ANZAC DAY, we will not have a meeting! Leon Hooke - Channel 9 editor will talk about his recent trip to AFRICA with the shooting of "I am a Celebrity, Get Me Out of Here". Challenges, and editing process. After the break we shall be looking again at the script from 12 Angry Men and reworking of "Father and Son", prepare for the smartphone competition, and more. Plus, more news on the Club Script. Come along and explore the techniques that made this one of the most famous films of all time. 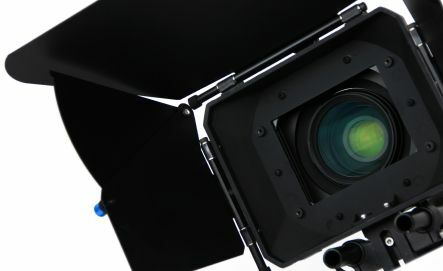 Amongst other things we’ll look at directing, cinematography, framing, and more, exploring how we can use some of these techniques in our next production. Also, there’ll be the next stage of discussion on the Club Production. Come along and get involved. 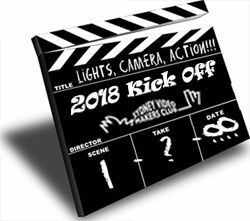 Accompanied with drinks and nibbles we will be screening all the Video of the Year entries including entries to the NSW Inter Club Competition. VOTY entries are due tonight. Make sure you are a financial member, or belong to one of our NSW club friends, if entering the interclub comp. You must supply a filled out entry form and pay the entry fee. Also: members discussion of club program for 2018 meetings and competitions. Also: video of what you missed at Focus night! 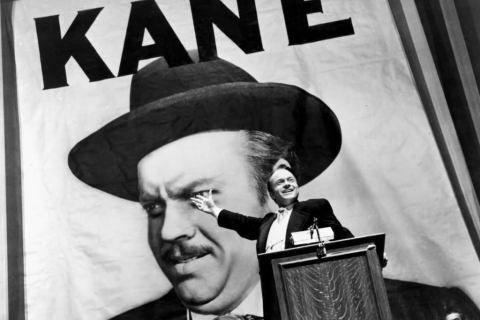 Blocking is telling actors where they should move for the proper dramatic effect, ensure sight lines for the audience and work with the lighting design of the scene. 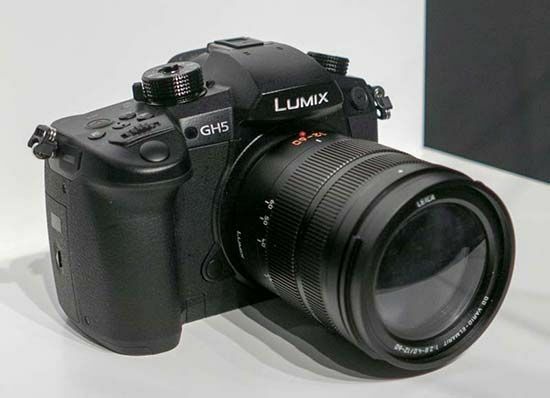 The new Panasonic GH5 proves to be a very desirable Camera with film makers given it’s specs, low price and weight. 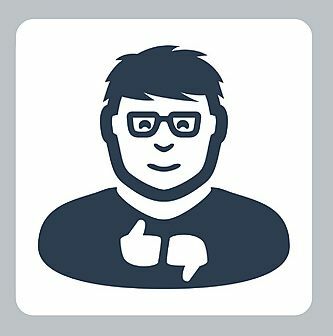 The new firmware update which was promised at product launch not only fulfills that promise but exceeds it. Every time the opposition tries to catch up with this remarkable Camera on the Video side Panasonic seems to jump ahead with a few more features that can only be found on cameras 5 times it’s price range. 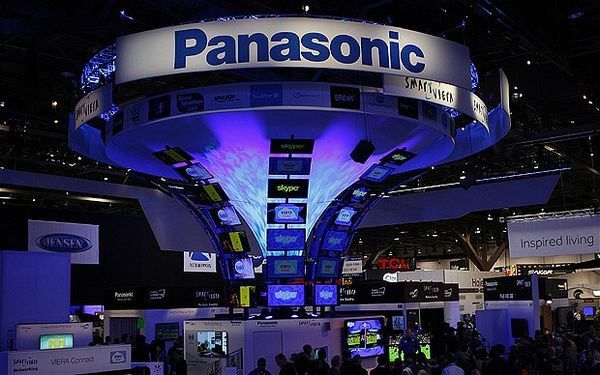 So don’t miss our guest Speaker from Panasonic Australia who will give us an in-depth look at this remarkable Video camera that can also shoot 6k photos. -Club critique time of our short film. -Pitch a project. 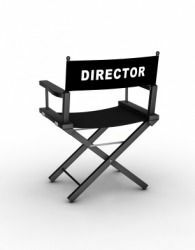 Work with other members in the group on any short film ideas you may have. Perhaps for the next film club competition? (But it doesn't need to be). Mark Gould Film maker "Bondi Rocks Media" is going to talk about Perfect framing, crossing the line, eye lines.Then finish with a short session on navigating the journey from content to form. 7:30pm Wed 9/8/17 Return of FOCUS NIGHT. 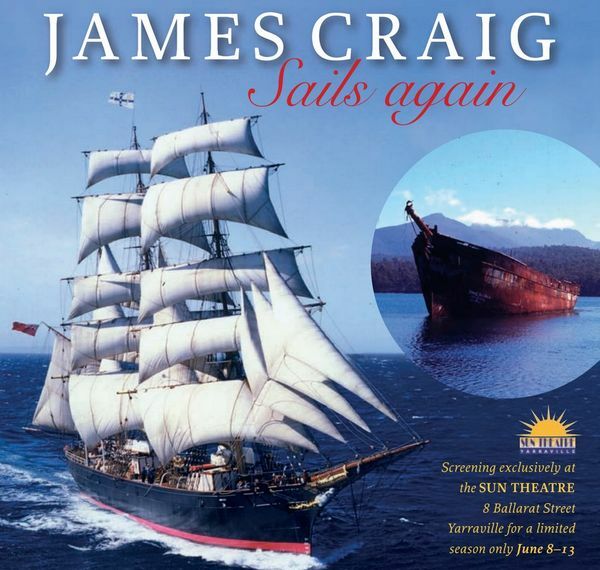 Our esteemed member and ex-BBC videographer, Brian O'Reilly is going to share clips and inside info about how he was the cinematographer for the movie James Craig Sails Again. This is a Sydney based restoration project of the Tall Ship, James Craig. Brian's experiences will be a most valuable look into what was involved in this major project. Bring your Travel Videos to share and discuss. Please contact Rob (President) or Eddie (VP) BEFOREHAND so we can plan the schedule, if you have any contributions! SONY Australia and Digital Camera Warehouse will be demonstrating SONY cameras at our club on May 24th. Digital Camera Warehouse is a specialist photographic retailer in Sydney, Brisbane and Melbourne (since 2001) selling popular cameras along with lenses and accessories for all levels, So if you have any Video gear questions then come along as both Sony and DCW guys are experts in this field. Our Second part of the night is our May competition “Adaption” screening. The picture you see here is frame grab from one of the team’s entries, shot in an outdoor location. You want to know which team? Come on down on the 24th. And enjoy the SVM extravaganza. Tsu Shan produced Yiwen Liu’s, "Tragic Enough" that creates awareness about domestic violence. She won the Golden World Award for ‘Best Producer’ and World Awards of Merit for ‘Best Ensemble of Cast’ at the 2016 World Film Awards. As a qualified Optometrist, Tsu Shan is passionate about women’s issues and has worked in many third world countries, receiving Young Territorian of the Year and semi-Finalist for Young Australian of Year in Community Service. She was awarded 2013 Sunshine Coast’s Outstanding Business Woman of the Year and 2014 QLD Telstra Business Award Finalist. She is also a professional actress and works from a place of inspiration, wanting to make a positive difference, one life at a time. 1. a)	DaVinci Resolve: Guest speaker Dion Wilton will give us a basic overview of this popular editing software which is totally free to download. 2. Paul is going to demonstrate the Shogun Flame and show how it can be used in combination with the Zoom F8 Field Recorder, using Time Code genlock. 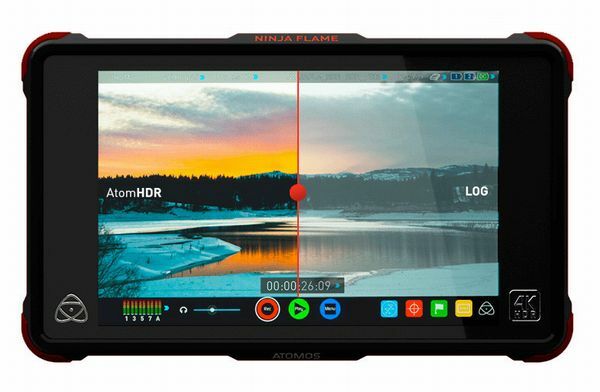 The Atomos can also work with various LOG video files, and this will also be demonstrated, showing how you can monitor wide gamut HDR in the field, whilst recording LOG format. 3. Our mini film fest will be screened and judged on the night in the second half. His first feature as director, ROAD TRAIN (2010) was funded by Screen Australia and sold in 50 countries. His second film DROWN was released theatrically in the US, Germany and Australia and in home entertainment across Europe. 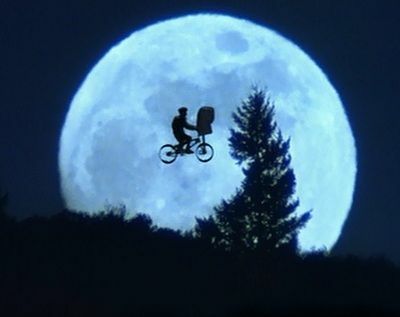 The film won 7 international awards including Best Cinematography. 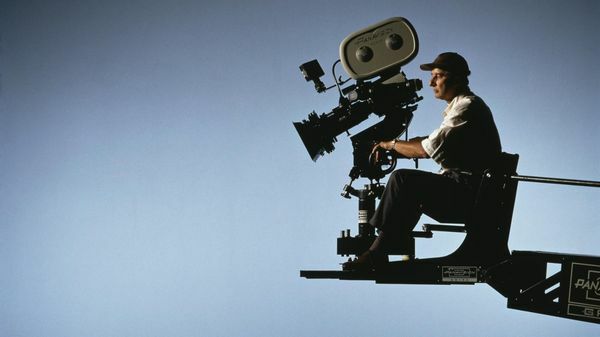 Dean holds a Master of Arts in Film and Television from the Australian Film Television and Radio School (where he majored in Directing) and an Advanced Diploma in Cinematography from the Institute of Lens Arts. He has won awards for Cinematography and Direction and his films have screened in hundreds of film festivals around the world. As a Cinematographer, Dean shoots music videos, branded content and drama and owns an arsenal of production gear including the new RED Epic-W 8k Helium. Tony is an ex-VOTY winner and an accomplished camera man and Producer. He is our guest speaker for the night. Tony is going to talk about travel & drama video production and about his coming trip to the Himalayas where he is going to shoot with a drone, among other things. 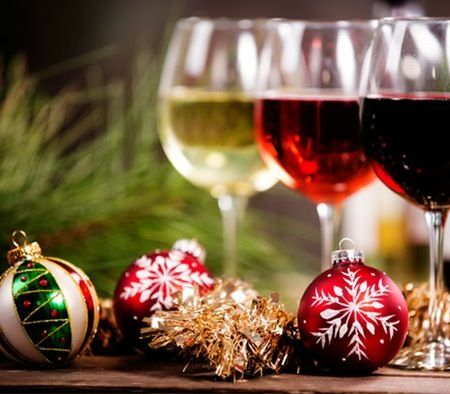 Join us for some free drinks, and to welcome the new committee, and some Christmas cheer. If you have some Christmas footage, why not bring it along so we can all enjoy it? Meet a couple of the film makers who participated in the SmartFone Flick Fest in August . A few of our own members went to this festival and were plesantly surprised by the quality and breadth of the stories. 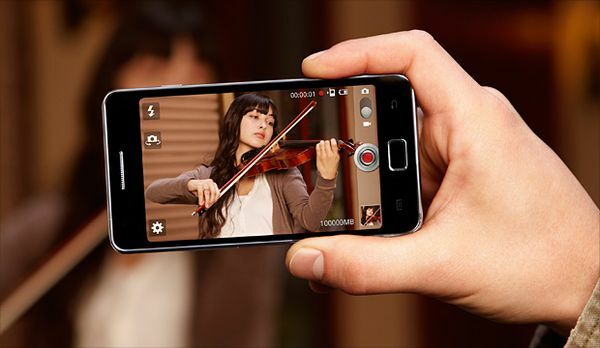 SF3 is Australia’s only international smartphone film festival. 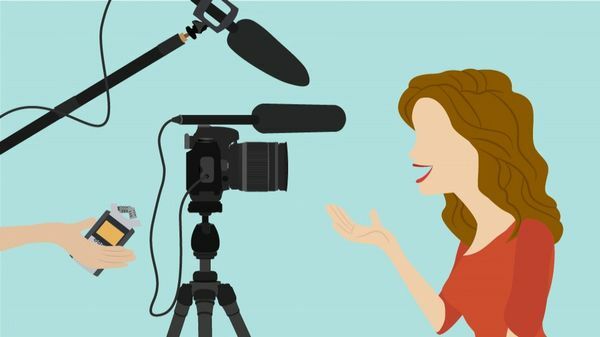 It provides a platform for budding filmmakers to bring their ideas to life and have their films seen by a global audience without the need for fancy equipment or a big budget. 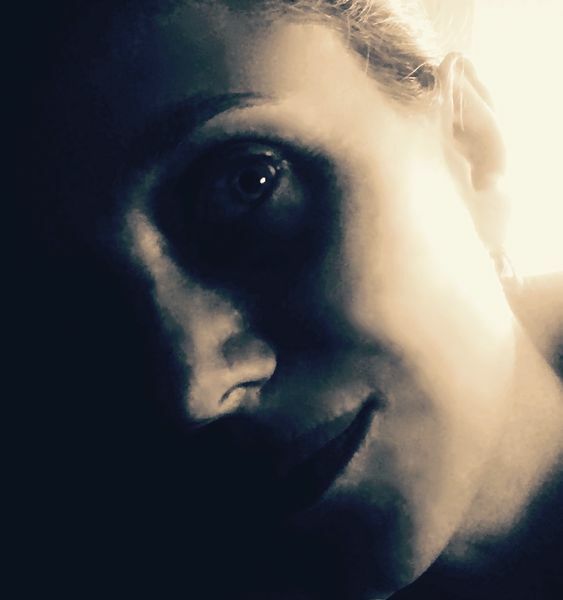 Come and meet Angela Blake, the director of SF3 (who will introduce participants of her festival as they screen a couple of the films made on the phone!. . 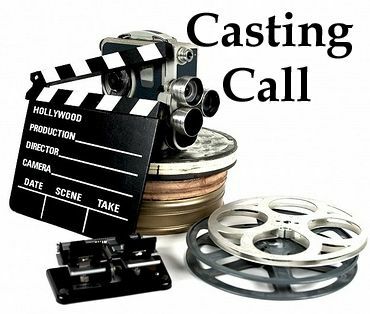 You will get a few ideas for your own short film as SVM committee has already dedicated one of our own 2017 competitions to be filmed a smart phone. 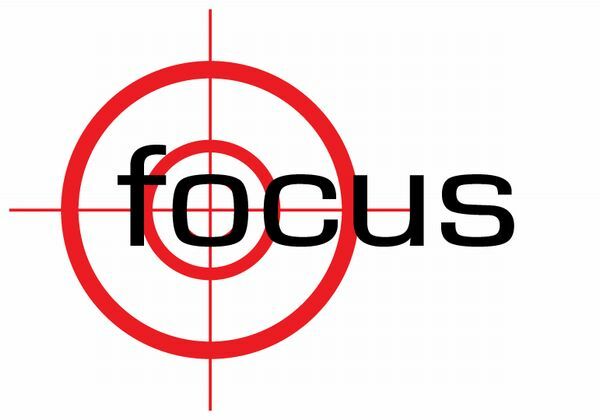 Our newest and very talented members will be taking over our focus night presentation. Come on down (7:30 pm start) and find out how Giancarlo, Jake, Joel, Krishna, Rene, and William and Douglas handle their film making. Most will bring their own Videos to show! David Ireland has hand fed bull sharks, filmed inside the jaws of a saltwater crocodile, looked into the black eyes of a great white shark and felt the breath of a lion devouring a wildebeest. In working with the most dangerous animals on the planet, he’s contracted double pneumonia and dengue fever, had his back broken by a whale and his ribs shattered by a wild boar. 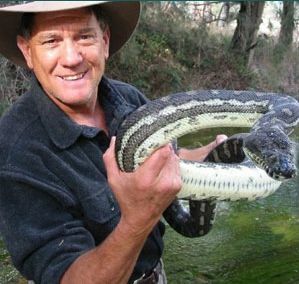 This wildlife expert and filmmaker has been bringing nature into people’s lounge rooms for over thirty years. He knows his animals inside out, and they, in turn, have helped him to understand human nature, sense danger and trust his instincts. The Wildlife Man, who has stared down a charging elephant, stopping it in its tracks, is a far cry from the sickly asthmatic kid who suffered at the hands of schoolyard bullies. This is an edge-of-your seat adventure. It’s one man’s story of how he learnt to live by the law of the jungle: those who adapt, survive. Club President, Rob Nercessian, will show us how he does his editing, using Sony Vegas. 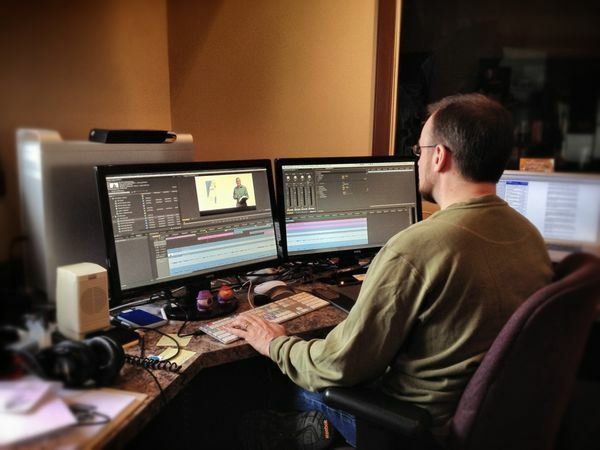 Come and learn how to edit short films and enhancing using effects and music. Lilyana Millutin, is an ardent believer in the Power of Stories to Influence Thinking. She is dedicated to changing the systems that impact our society by helping deliver meaningful stories to the world. Almost thirty years of communications and media experience, and a broad educational background including the AFTRS Post Graduate Diploma in Film & TV Management — provide Lilyana with a unique insight for strategically navigating the world of independent storytelling. 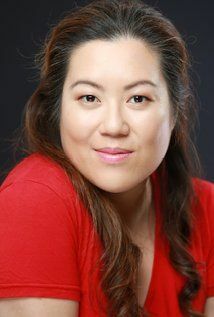 In her ‘past life’, Lilyana worked in various roles on film and TV productions with award-winning talents, such as Dion Beebe, Pip Karmel, Richard Jasek, to name a couple. She ghost-wrote a four-part TV documentary series on the power and nature of consciousness which was produced in the USA and has garnered a global following as well as a couple of awards. Always a popular night where many members screen their own travel Videos and enjoy watching Videos from others. 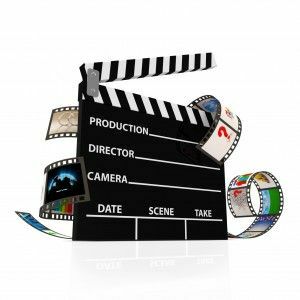 A growing number of members are also interested in presenting montage videos which tell their story in an alternate fashion. No doubt some Vivid shooting will appear on the program. Bring your videos on USB or DVD and we will assemble a screening program at the start of the night. 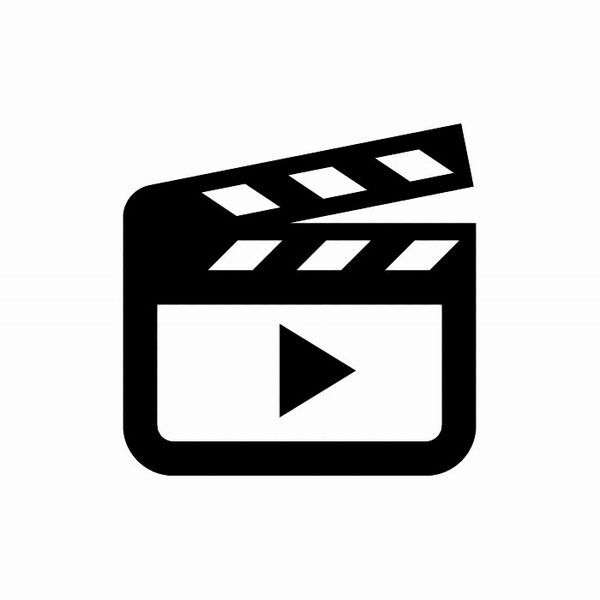 Ten to fifteen min durations are best so that more people have the opportunity to screen their Videos. You are welcome to bring along more than one to help vary the night’s program. 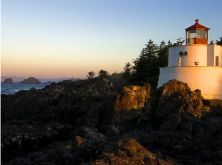 join in a discussion about overcoming the problems faced when shooting in the ad-hoc situation created when traveling. details of title, genre and duration so that it can be slotted into the evening’s program. Our special guest speaker this month is a real licensed Helicopter, Glider and UAV Pilot who films aerial shots for TV & Cinema! As usual, this event is FREE for first time visitors. Phil Burnham combines his flying skills with his passion as Director of Photography to film for TVC and all kinds of TV shows. He is the closest thing we have to a real James Bond! We are privileged to have him. So come and enjoy a night with Phil as he screens some examples of his extensive work as a director of photography on big productions like “Home & Away” etc. using drones, gliders etc. Our next monthly presenter is Dion Wilton BVA film & television. Dion and our president were co producers on Sydney community TV for many years. Dion just finished working on a feature film and he will be showing segments. "Working with people in front of the camera has proven quite a challenge for many productions, however the single take scene shows competence in pace & rhythm in performance and dynamic placement of the camera. Mostly it shows that you have an understanding of the scene”. 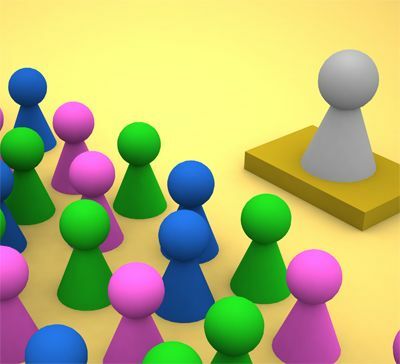 This presentation will introduce you to the basics of a scene. Join me in exploring these elements in two scene examples from a feature in post production which can transfer across to any level of production. 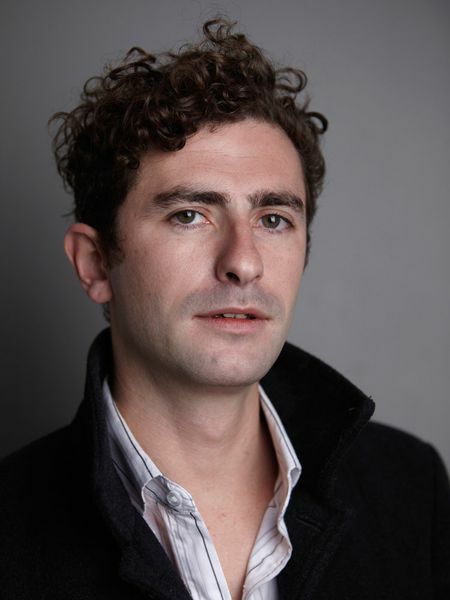 Paul Szilard will introduce the craft of editing. Focusing on general techniques, live demo will be on Final Cut Pro X. 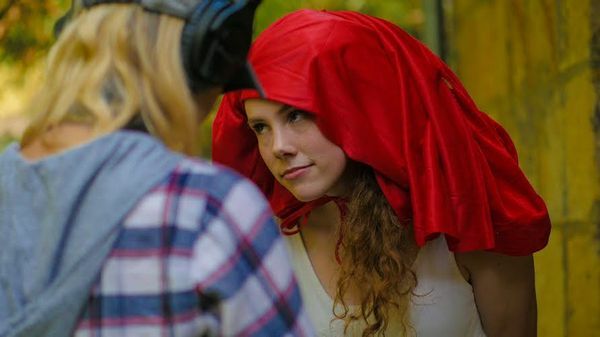 She will screen her latest film and explain her use of green screen. With Honours in filming, she developed her unique visual style which led to the prestigious professional mentorship with the National Film and Sound Archive (NFSA) in Canberra. 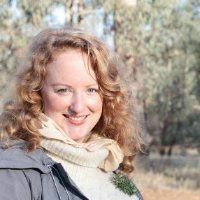 A Diploma in Documentary at the Australian Film, Television and Radio School (AFTRS) saw her direct her acclaimed film “The Drover’s Boy”, which had its world premiere at the Sydney Film Festival 2015. Margaret will do a Q&A. 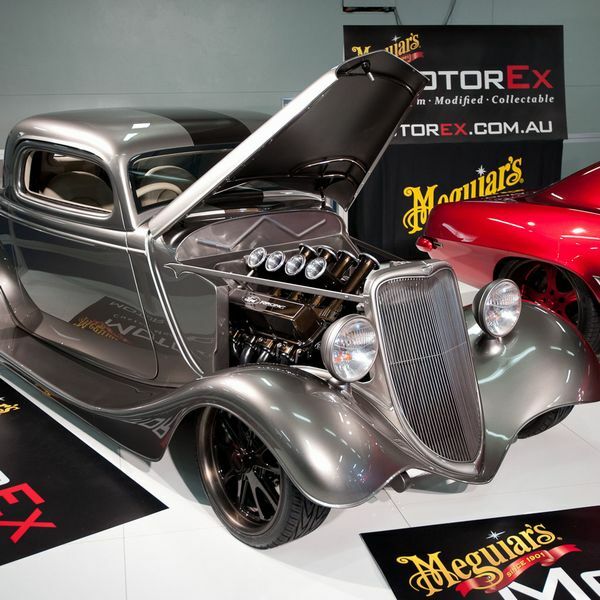 CoreMelt is the Australian company specialising in plugins for Premier and Final Cut and are based in Sydney and Singapore. Doug Suiter is our external speaker who will give us an overview of their products and show how they can be used to produce professional video. Ian Scott will take the 1st half of the meeting to continue with Audio theory. Ken Fry will take the 2nd half doing some practical hands-on sessions with the members. 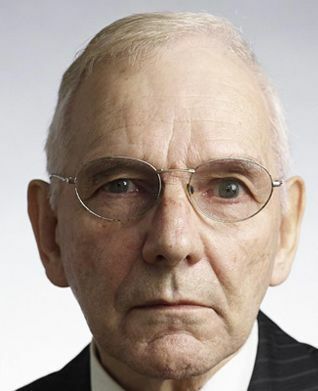 John Maizels is a media technologist. He will give us a rare insight into broadcast technologies that are around the corner, and are filtering down to amateurs and freelance pros. 1st of 2 nights: Understanding camera features. 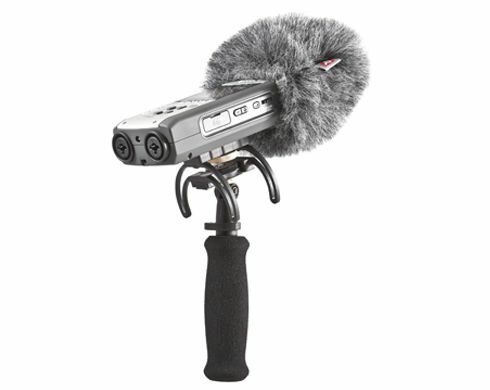 Improving audio capture using external mics and manual levels. Bring your camera & manual, any mics and tripod if you have them! 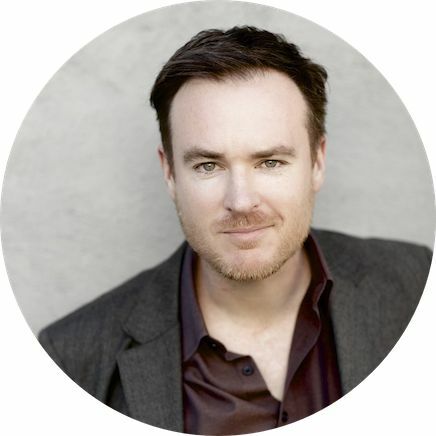 Andrew is an Australian filmmaker producer who has won over 100 International Awards from more than 30 film and television programs, and is our VIP Speaker for the night! Also Handing in Night for the 1st (Open) Comp of the year. 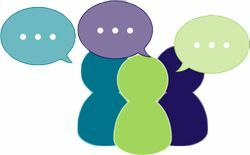 Come along of Feb Focus Night and tell us know what you want to have in future sessions. Bring your camera and manual along so that you can follow along and show others what you have to work with. We would also like to know about your editing system. Hear about the full 2016 programme and much more as a year of filmmaking gets going again! Time to look back through the years program and consider what went well, what we enjoyed and what we want more of next year. 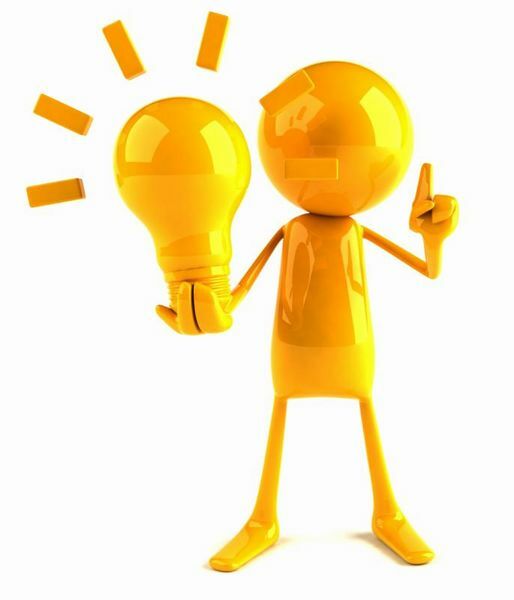 Any suggestions on competitions, topics, and anything else for next years program. Plus a few drinks, nibbles and some time to have a chat. Tonight we have the pleasure of welcoming Sally Moran, a highly experienced editor who's CV includes the BBC, Channel 4 and a host of Australian producers where Sally has edited a range of genre’s. 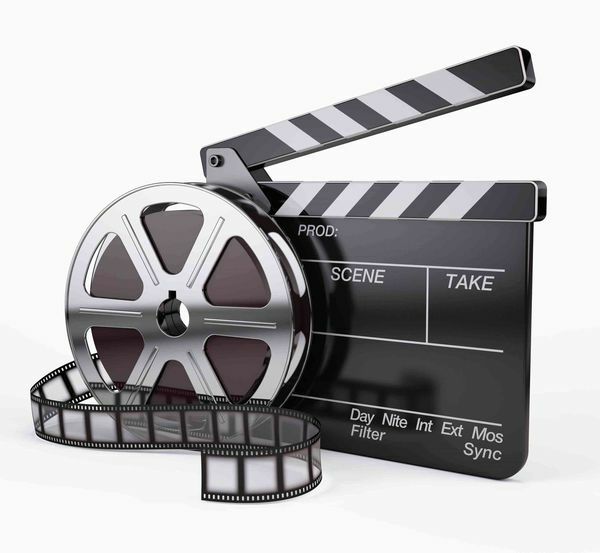 In the world of observational documentaries this includes programmes such as Bondi Rescue, Family Confidential, and The Crocodile Hunter to mention just a few. It will be an excellent, informative and engaging evening. VOTY entries are also due this evening - you can enter with a Vimeo # as usual but please do also remember to bring a copy on USB. For the first half of the evening we'll look at how to make a great Xmas video to use with friends, family, even work colleagues with very little effort using some powerful templates. In the second half of the evening we will look at some of the challenges and approaches to shooting outdoors, including finding locations, considering audio and thinking about permissions. AGM & Results of Shared Script Comp. 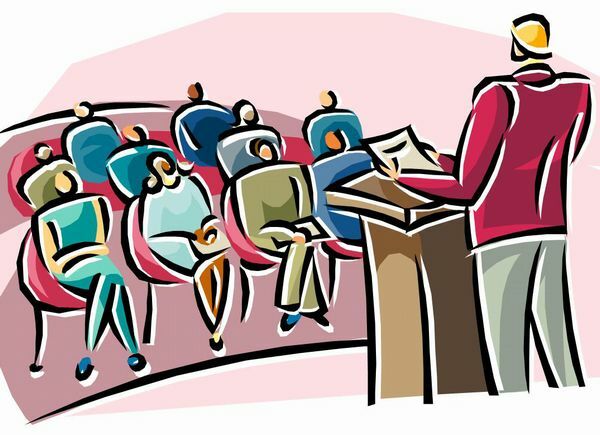 The Clubs Annual General Meeting will be held in the first part of this evenings meeting. 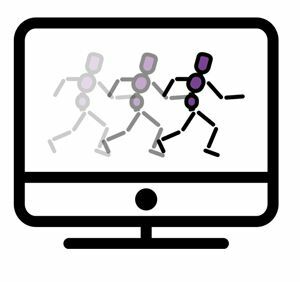 After the AGM we will be showing the entries in the shared script compeitition and announcing the results of the competition. We will also be showing any members clips which are brought along. 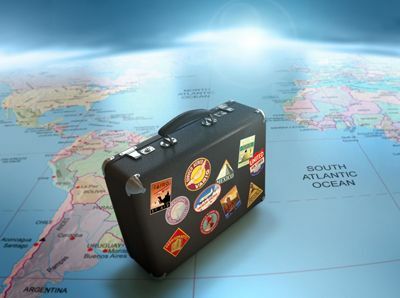 This is the ever popular annual exposé of members' travel videos. 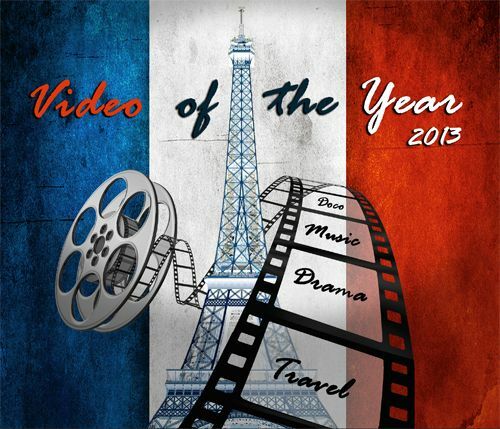 Plus, this year we will also be including some of the best amateur travel videos we can find. Tonight we welcome Ian Cooke, an independent documentary maker who will share his experience and expertise on how to make great documentaries. Tonight is also the deadline and first viewing of the shared script entries. Think you know your camera or need help finding out more about how to use it? This is the night for you! Bring your camera along and, in small groups, see how many of the 10 Camera Challenges you can complete already or can learn to complete with help. From white balancing to pulling focus, from managing exposure to adjusting frame rate, there'll be a range of challenges to really help you get to know your camera better. 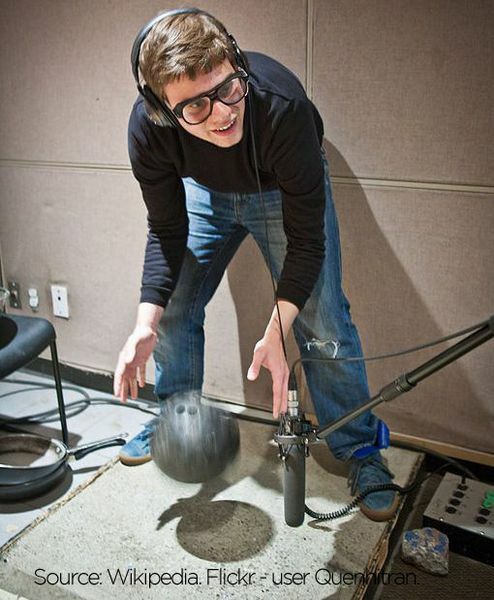 Tonight we'll be trying our hands at being a Foley artist! Using just some simple equipment can you capture a list of sounds from the simple to the slightly less simple! Sound easy? You'll need your thinking hats for the harder ones but in having a go we'll get to try different equipment and learn some interesting lessons about sound, and sound effects. Plus, we'll have the competition results and a review of the productions from the last Focus Night. The in camera editing challenge! Bring your camera along this evening for what promises to be a fun and interesting evening. In small groups you'll get about and hour and a half and a challenge to film. But, no editing allowed! What you shoot it the final piece so, be careful when you press record! You can del3te the last take and do it again but this is in camera editing and is a fun and interesting way to learn some great skills. 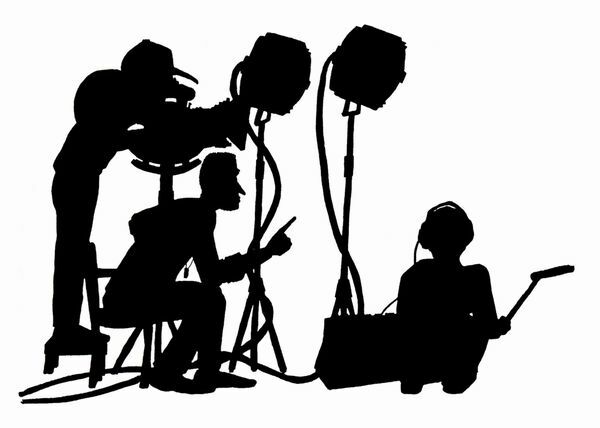 Tonight we'll have a practical session looking at how to set up and shoot better interviews. 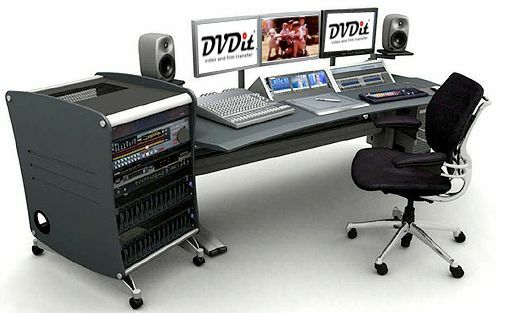 Including lighting, camera positions, audio capture and so on. 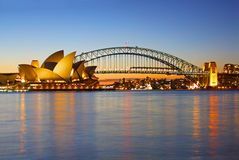 After that we'll have the competition entries for the 'Sydney Travel Documentary' challenge along with a brief review by the directors. And finally, a look at some very interesting videos from overseas clubs. Will be a packed and interesting evening! Trailer Time, Documentaries and You be the Judge! Tonight we'll review the green screen footage from the last Club Night and see what any members have made of it in creating a trailer. We'll also look briefly at how to key it and how to address some of the issues with it. After that we'll check out some serious advice on how to edit documentaries. With the next competition entries due soon this should be useful. And finally, we'll go through the You be the Judge results and see what people thought of the 3 very different videos we've selected for judging. 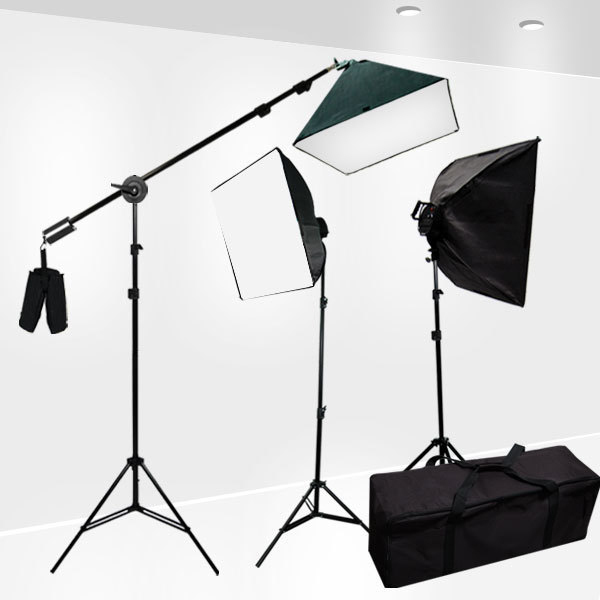 Tonight we'll be getting some of the club equipment out for a hands on sessions where we'll use a green screen to shoot elements for a VOTY promotional video. We'll also have the results of the Sci-Fi competition, we'll be introducing the You Be The Judge exercise and there'll be some time for groups to chat about the shared script too! Create Better Voiceovers & Spend Virtual Cash! 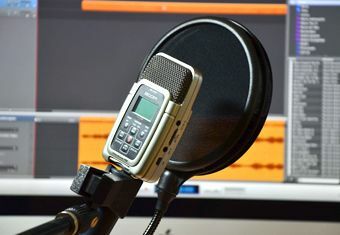 Today we'll be looking at how to create more engaging and more interesting voiceovers. What makes a good voiceover? 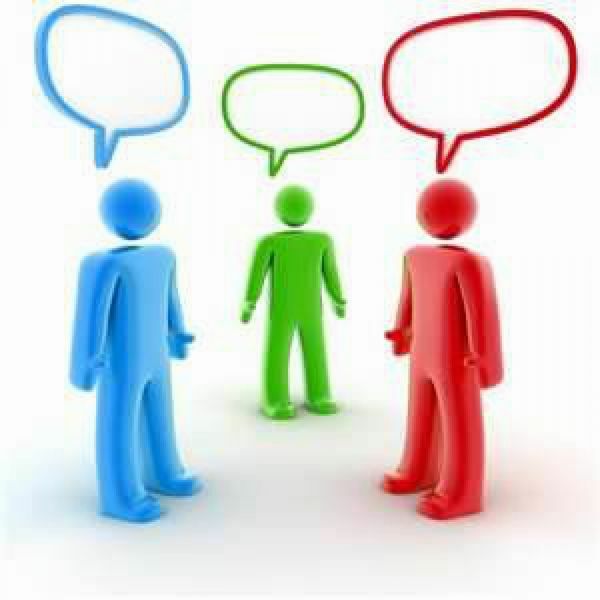 Is good elocution needed or is content and passion the most important? We'll see! We'll also be spending those virtual dollars, exploring what people's equipment priorities might be and what trade offs people make. 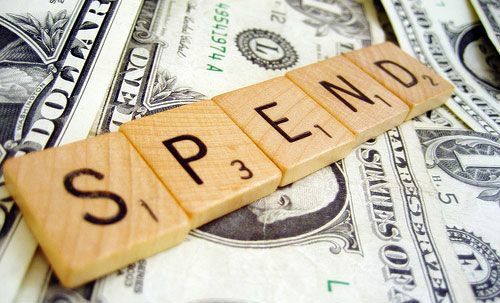 Spending without the guilt - how easy is that! 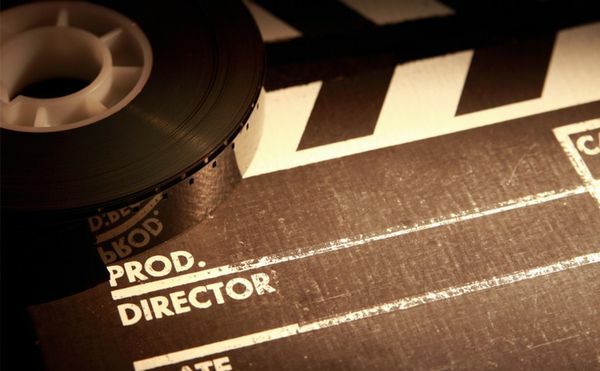 Tonight we'll be handing out the shared script - it's a very easy to make 3 minute film but it has a whole host of director and editor opportunities to do something great. We'll be organising the one off teams for this too and there will be a chance to sit down in the teams and allocate time and roles. 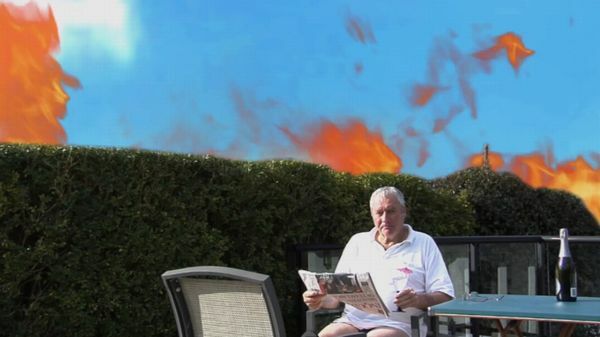 Plus, we'll have the first screening of the Science Fiction drama competition entries. 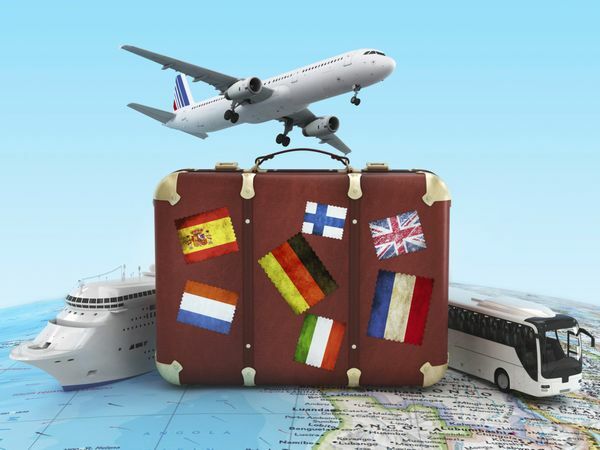 We'll be deconstructing and reviewing some travel & documentaries and looking at what makes them good and identifying where some go wrong. Plus, we'll be looking at some tricks and tips to enhancing both documentaries & travel videos with graphics including creating powerful animations from stills and creating professional looking lower thirds. And, we'll even have some graphic design advice to boot! Come along and meet an expert from Lindfields specialist outdoor and action camera store Camzilla Cameras. From GoPro on a Camera Copter or car mount to a battery powered hand held gimble - this will be a fascinating walk through some of the coolest kit on the market today - including something for everyone's budget. Check in at 7.30, take off at 8! Plus, we'll have the results of the open competition, members clips and news of the shared script competition. 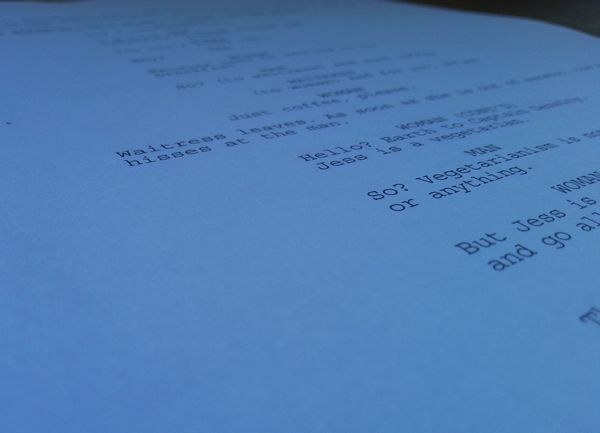 Get 10 great tips and pointers on writing short scripts. 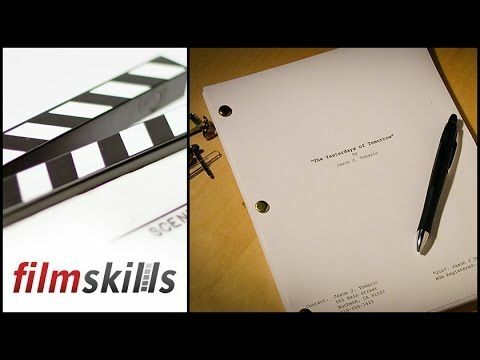 Plus, learn the Hollywood film script format that works and discover the completely free online tool that does the hard part for you and makes you look more professional! Plus, we'll be looking at some DSLR monitors and seeing how they could perhaps work for you. Workshop approach to developing a Story Line, viewing of all video entries for the 1st Comp of the year, and Brainstorming session on what equipment to purchase for the Club. Gear insights. Upload requirements for VIMEO. Lighting tutorials. 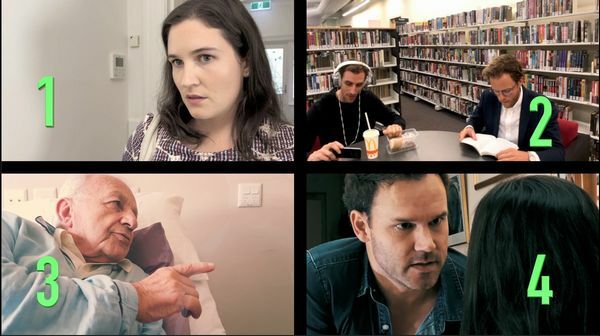 Held at Film Australia in Lindfield this is the Club's annual competition which this year again includes the NSW Inter-Club Drama Competition which includes entries from 4 NSW Video Clubs. Tickets for the evening include drinks, nibbles and approximately 2 hours of videos including dramas, documentaries, music, travel, special techniques, not to mention a few 1 minute ads. This is a look back at the annual programme with a view to planning next years. What do we want more of, less of, what should we be including next year we haven't thought of so far, any suggestions for competitions, etc. etc. etc. 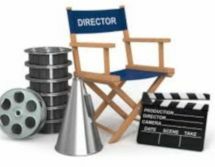 This evening we welcome an experienced Amateur Scriptwriter and Director who will give us her perspective on the challenges, pitfalls and solutions on becoming a better storyteller overall. 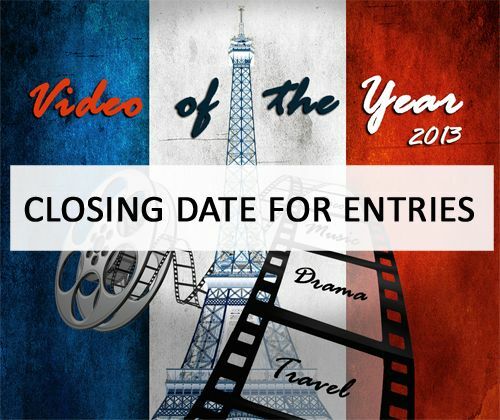 Video Of The Year entries are also due this evening. Tonight we're focusing on music videos - whether it's individual performances indoors, choirs of many or outside events, what can you do to get a better result? During the first half of this evening the Club's AGM will be held followed by the results of the Documentary Competition. If you'd like to have a say in how the Club is run, what the annual agenda focuses on etc. then this is your chance to get involved and make a difference. 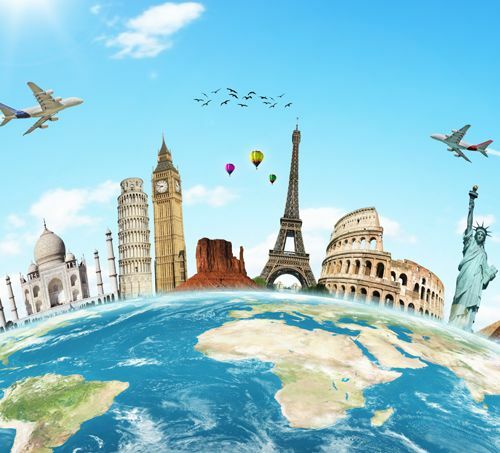 Hosted by Ian Scott this is the ever popular annual review of all the travel videos made from our globe trotting members and others! 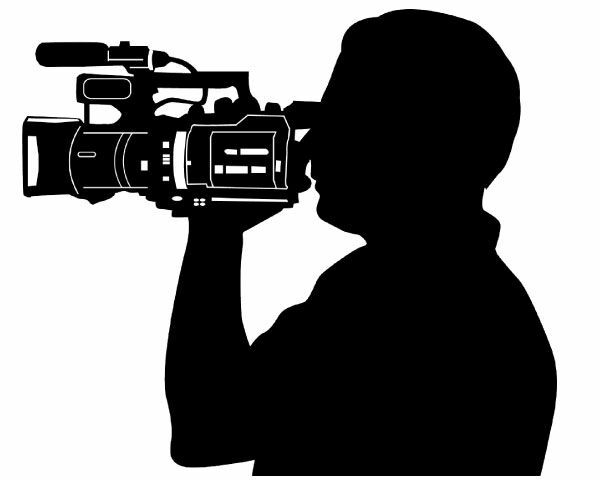 Ideally, if you have any videos you'd like included please let Ian know beforehand but otherwise, bring them along on the evening and we'll try and fit them in. This evening we welcome Lile Judickas, a highly experienced professional editor who has numerous well known productions under her esteemed belt! It promises to be an interesting and enlightening session and will include a good time for Q&A and may even include some guidance & advice to us based on having viewed some of our own work before the evening. 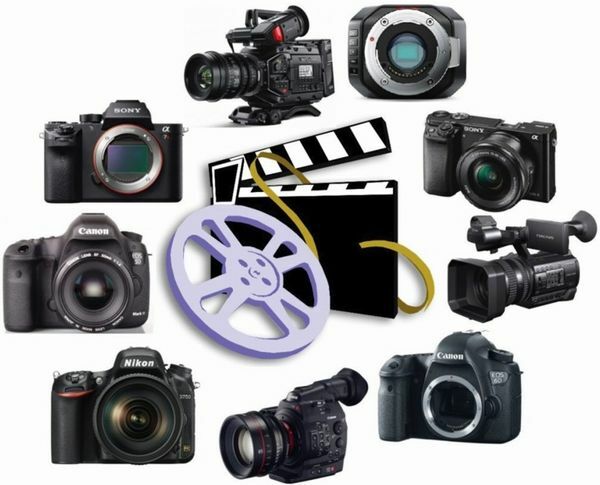 Entries for the Documentary competition are also due this evening. Tonight a number of members will be bringing along some of their latest equipment and talking about why they bought them, what they do, and so on. We expect this to include cameras, a slider, possibly the club crane and more. Tonight we're privileged to welcome professional Audio & Video specialists from Dragon Image in Artarmon. 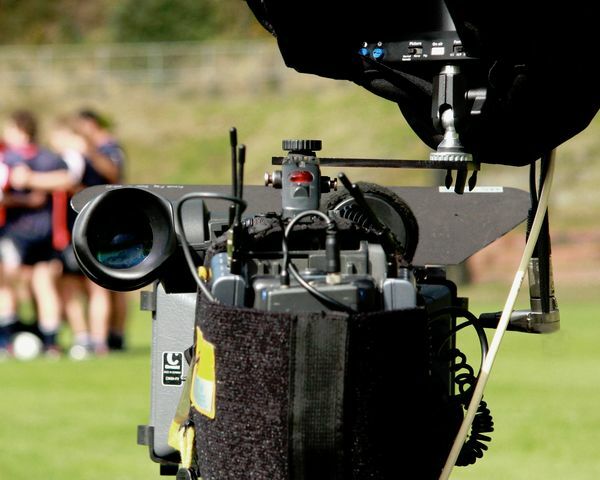 Dragon Image provide a complete range of video equipment to both buy and hire and this evening they will talk about and demonstrate a range of equipment which could take our productions to the next level. It promises to be a very interesting session and will include the chance to get hands on with equipment you've probably wished you had access to before now! 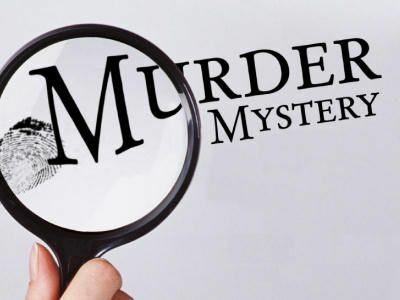 We'll also have the Murder Mystery Competition results and final preparations for the first club shoot. We'll look at developing a simple story and then various camera techniques you might use to tell that story with and without using a tripod. They'll be some live exercises to try too! Amongst other things, tonight entries in the Murder Mystery Competition are due and will be played, along with some directorial comment and questions. 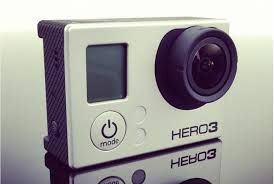 This evening will include a range of activities – there’ll be a chance to get hands on with the club’s audio equipment, have a go at hooking it up to your own camera and find out how to borrow it when you need it. Plus there’ll be an introduction to online casting and some tips on how to get the best from that. And finally, a quick look at how to some tips and tricks to think about in post production. Tonight we will be joined by one of Panasonic Australia's Camera experts who will introduce us to some of the latest cameras from Panasonic. 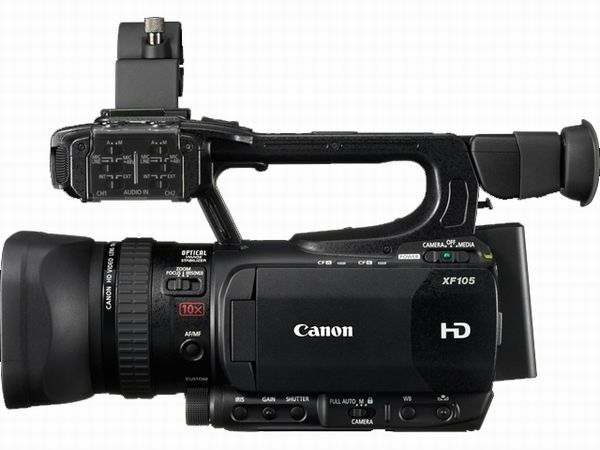 This will include 3 different camera models: The GH4 (4K), the AG-AC90 and the AJ-PX270 for the very committed filmmaker! Do they have a well told story, what would the logline be, have they told the story well, edited at the right places, are the shots too short or too long, was it the right shot. Building on the theme of the last few sessions these are just some of the questions we'll be asking as a group as we review some videos from overseas - and some closer to home too! 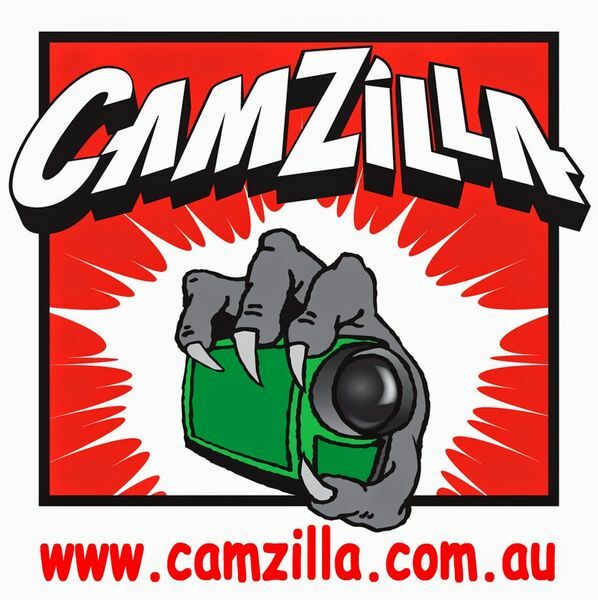 Tonight we will be joined by someone from Canon Australia's Camera experts who will introduce us to some of their latest cameras. On a film set who does what? What's the role of the 1st AD, the Grip and the Best Boy? In a small production what should you have, what do they do and how do they work together? What about reports, what are they and how can they help you improve the production overall and the edit in particular? Got a clip you're having problems with? Bring it along to the clip surgery for help and ideas on how to fix it. 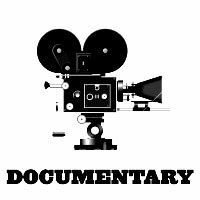 Tonight we'll look at some simple tips to how you make a better documentary. Of course, it's all about the story but it's the way you tell 'em!! The results to the open competition will be announced tonight and we'll also be reviewing the first script drafts for the club shoot. Tonight's focus is editing, not so much of the 'technical how' but more of the 'where, why and what'. When should you use a fade, a fast cut, a wipe, what does it mean if you fade through black, how do you keep the story moving and cut out all the bits you don't really need. Should you separate audio from one clip and lay it over another, and so on. We'll take a look at some story fundamentals, some of things that help you build a great story whether it's a documentary or a drama. Open competition entries are due tonight too - and remember, you can now enter them on a USB stick. Use the new entry form available in the downloads section or you can download it here. And finally, script ideas for the club shoot are pitched this evening so, any ideas you may have, however early in their life or simple they may be, bring them along. 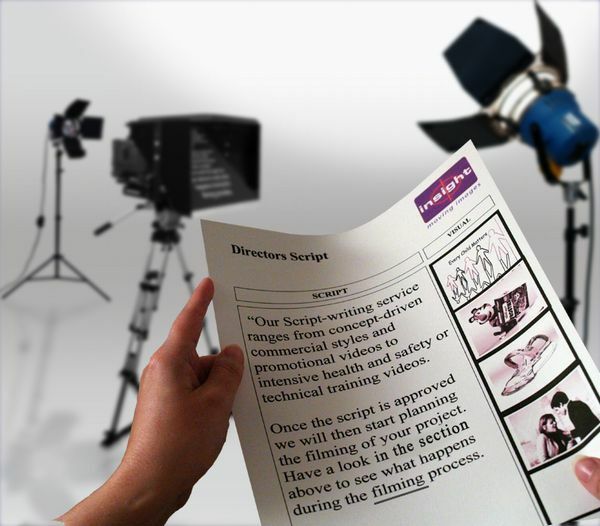 Every great video starts with a - hopefully - great script! 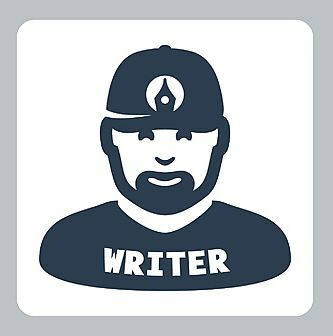 What does a great script look like, what free tools are there to help you write one, and, while you're at it, what's a logline, why does it matter and how will it help!? Held at Film Australia in Lindfield this is the Club's annual competition which this year also includes the NSW Inter-Club Drama Competition which includes entries from 4 NSW Video Clubs. Instead of examining our own videos to see what we can learn, this evening we'll be seeing what we can learn from watching videos from overseas clubs. 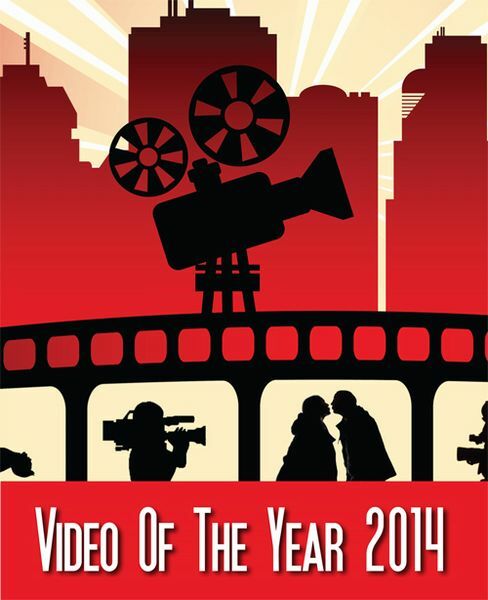 Tonight is also the CLOSING DATE FOR Video of the Year 2013 entries. Getting the right shot can be a challenge, there's lots to think about and the more control you want over the shot, the more you need to take manual control of the camera. 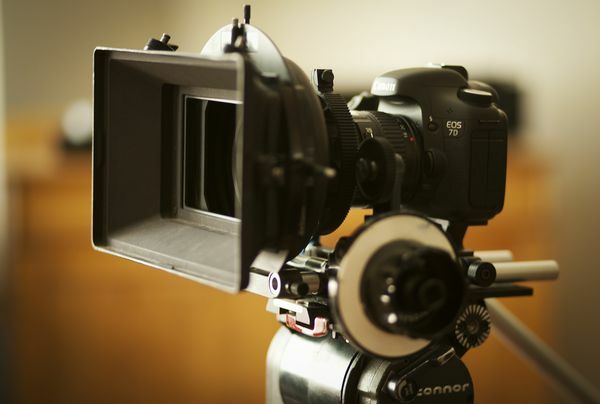 We'll look at how you go about manually setting white balance, exposure, focusing and even setting up your audio so that on your next shoot you get the look you want and hopefully avoid wondering if a re-shoot might be needed for that key scene! After the AGM we will be showing the entries in the shared script compeitition - Daylight Robbery, and announcing the results of the competition. We will also be showing any members clips which are brought along. Improving audio capture & using club audio equip. This evening will include two parts, firstly, David Green from MyMyk will be presenting on 'how to improve audio recording'. 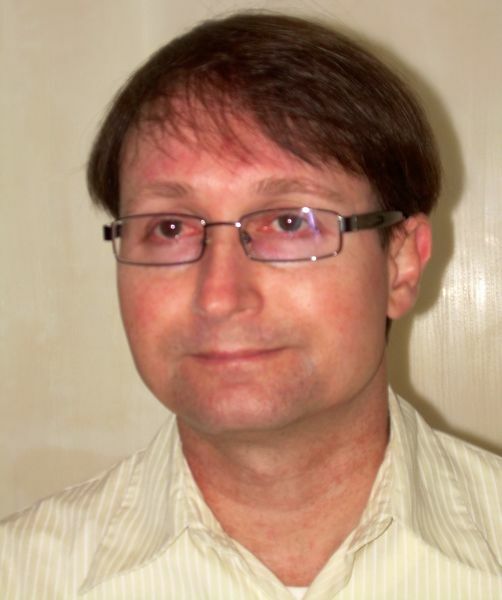 David has spent 40 years working on audio including as a professional musician, studio engineer, and audio designer. He has recently designed a couple of new audio products mainly for DSLRs and these will be shown although this will be a general talk not product specific or promoting any particular brands. 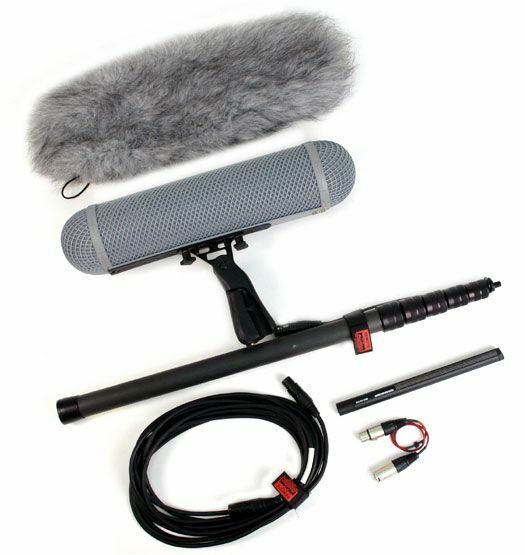 Also, the club has two complete audio kits which include boom mikes, boom poles, mixers and all the other bits you need to capture great audio and we will look at how best to use them. So, if you don't know your dead cats from your roadkill, are confused by Line and Mic settings or are not sure whether a shotgun is a good thing to be carrying to that bank interview then this is the night to get it all cleared up! For the first half of the evening we're looking at some of the basics of how you could use audio and camerawork to create supense and tension. We'll consider things like what makes a tense moment, how do you build up to it, what elements contribute to it and what you should you be thinking about? Discuss! 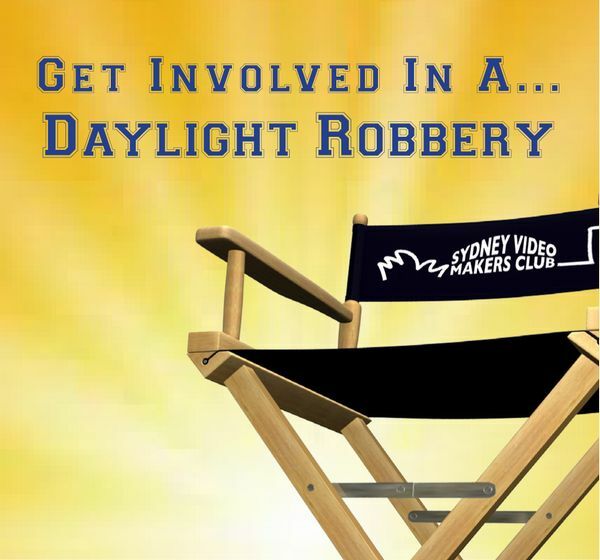 Entries are due this evening for the shared script 'Daylight Robbery' and we'll be screening all of those along with any members clips - bring some along if you have any. This evening is dedicated to viewing members' travel videos. It's very relaxed with no competition and no judging or critiquing of videos played so very much open to everyone. If you've been anywhere - local, interstate or international - and made an interesting video of the trip then this is the night to show it. Anything up to a maximum of 15 minutes is fine. If you have a video to play then ideally let Ian Scott know beforehand but, if you forget, bring it along on the night and we'll try and fit it in. We are honoured to have with us this evening one of Australia’s leading cinematographers and makers of adventure and expedition documentaries. 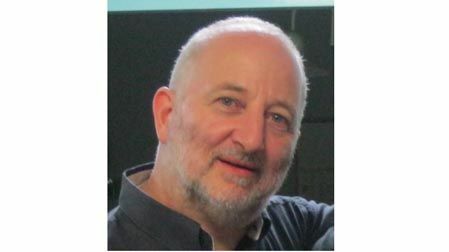 Michael Dillon AM has won more awards in this field than any other individual worldwide and joins us to give just a little insight into how best to plan and make a documentary. Whether you're a passionate documentary maker or not this promises to be a very interesting and engaging session and one not to be missed! We will also be announcing the results of the 60 second / 30 second ad competition and playing members clips and so on. So, a full night! In this session we will go through how various special effects were put together in actual club videos. This will include Satisfaction Guaranteed from last years VOTY Special Techniques category, possibly some from Arab Dawn as well as others. This will all be demonstrated in After Effects although the basic techniques will be almost completely transferable to other special effects editors. The club has a couple of sets of Audio Gear, a crane and a small skateboard dolly for members. We will set these up and show members how to use them. 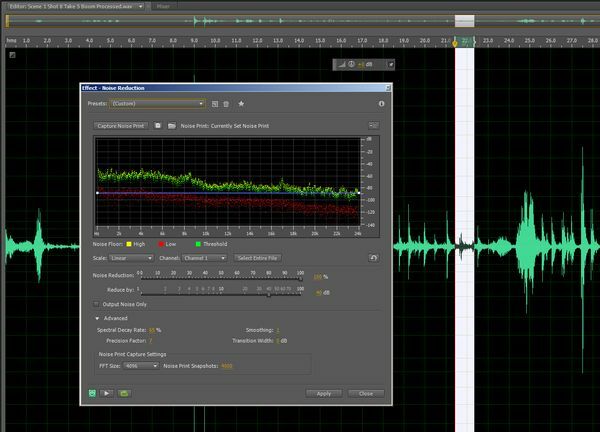 Once you've captured your audio there's lots more to do - from noise reduction and balancing of levels to adding background music, atmos and even effects. 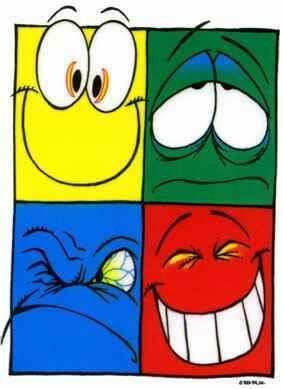 And these all pretty much assume everything went well during capture! If you had problems at capture there may be much more to do - and of course there are a multitude of filters you could be using to bring out the audio elements you need. Put simply - audio in post can be a mammoth task! We couldn't possibly cover it all in a focus night but these are the sorts of areas that will be covered so, if you've ever sat listening to audio thinking 'how do I fix that' then this session is for you! 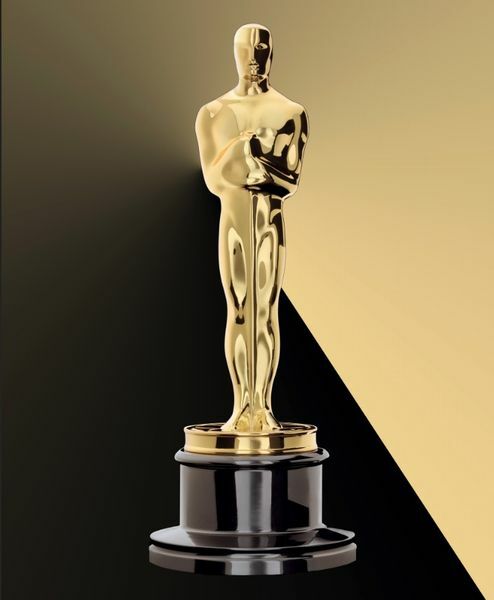 At the next Club Night we’ll be viewing some examples of a global single script competition in which some very accomplished amateur filmmakers from around the world competed using a high profile Hollywood script. You’ll be fascinated to see what happenned, all the different entries were very different, some were way out there but all tell the same basic story! Plus, we'll be going through the final script for 'Daylight Robbery' - our single script which will be the starting point for the August competition. And, the results of the Lost Competition will be announced. How do you produce Hollywood stunts with no budget whatsoever? 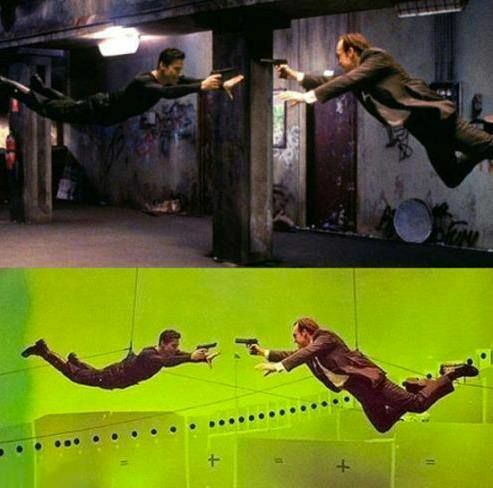 Special Effects of course! This session will set you on the path to astonishing your audience with effects they will double take on and be suitably impressed with. For animations or explosions, titles or transitions, in fact anything you can't do in your camera then this is the place to start. 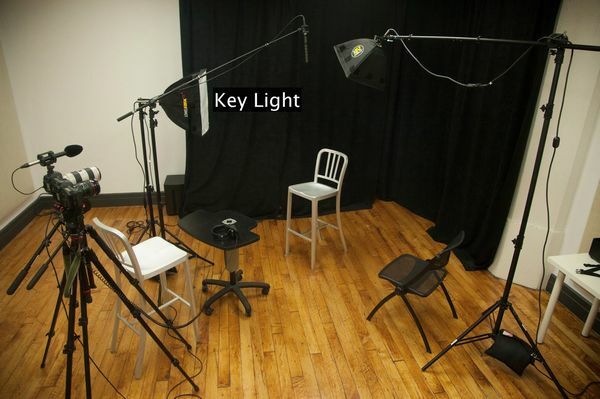 Tension, Suspense, Action, Intrigue - how do you create the mood you want with budget lighting? Come along and hear an industry professional talk about how you use simple lighting equipment to significantly change the impact your shot has. With practical examples and a chance to light and film a shot yourself this will be a truly enlightening evening (.sorry!). Members will be relating their first hand experiences with a range of cameras now available, from small mirrorless cameras like the Sony RX100 and NEX-7 to Panasonic TZ10 and GH2 and also the popular Hero GoPro action camera. 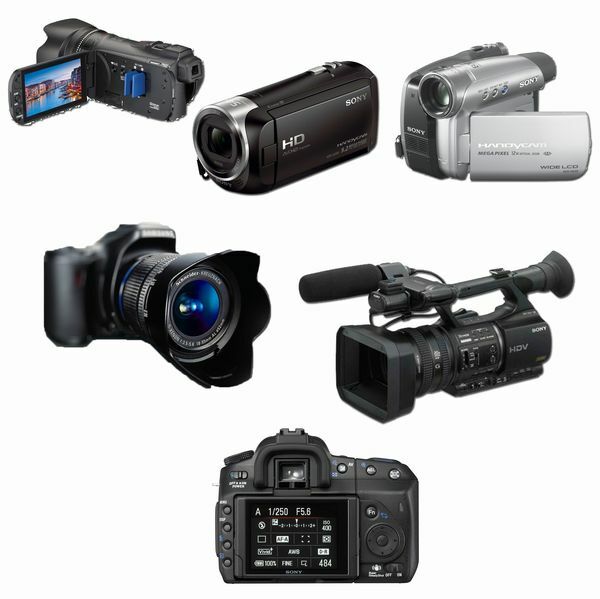 You will find out what members like and dont like, what works well and what limitations these cameras have. We will be sceening sample clips from each camera so you can see just how good they are. 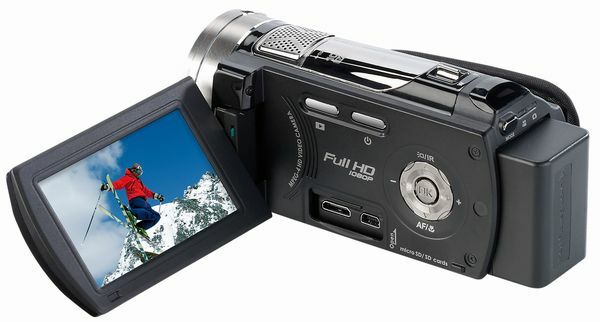 We will also look at the latest Sony interchangeable lens video camera. Tony Yang will be showing us how he shot his Tasmanian sequence using his steadicam and explaining his post processing - to get those amazing results. 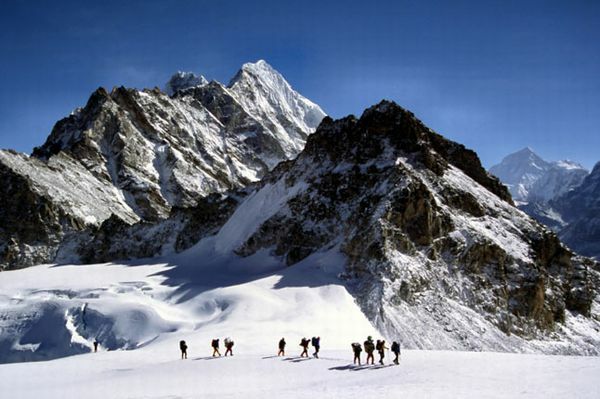 How do you make a travel video which truly inspires your audience? What are the tips to follow and the pitfalls to avoid? We'll review what works and what doesn't and you'll come away equipped to trot the globe ready to make something interesting, engaging and altogether entertaining! 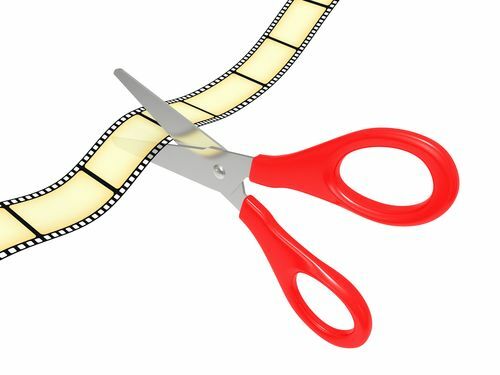 This is an intermediate session which, in the first half of the evening will cover how to export movies for submission to club competitions in .mov and .avi format - things like square pixels, resolution options, audio options & formats and so on will be covered at a top level in the first half. What all the options mean will be glossed over only, instead focusing on which options to select from the major programs in use to ensure you submit in the right format. 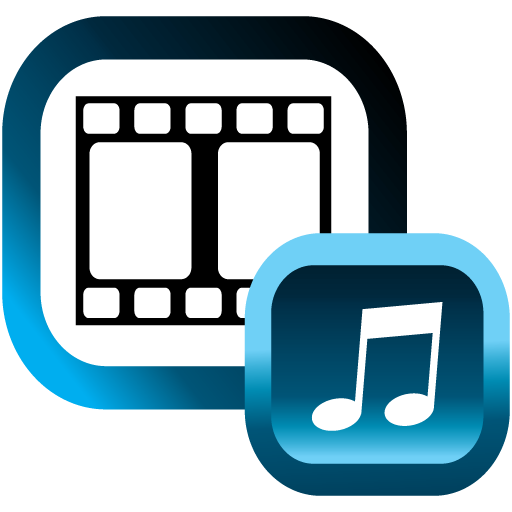 The second half will look at how you create professional DVD menus, for example video thumbnailing, default menu buttons, background music, custom backdr0ps and so on using Adobe Encore and other programs. There's a proper way to get from great idea to great result, one that takes in Script, Storyboard, Shot List and a whole lot more. 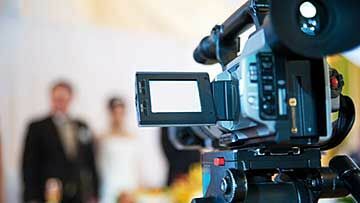 Come along and see for yourself the what, how and why of producing better videos. Plus, Open Competition entries are due tonight and will all be screened in the second half. 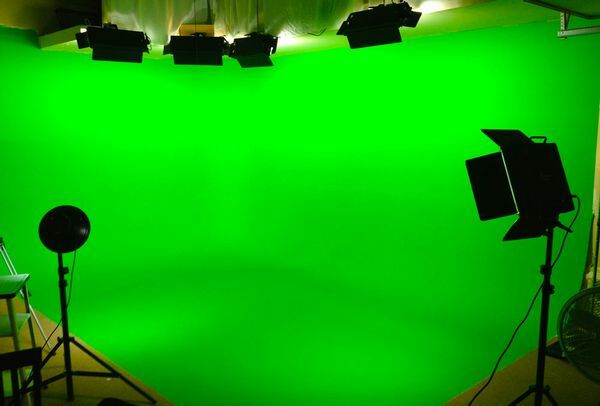 Everything you need to know to get going with a green screen. 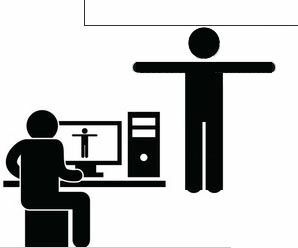 How to set-up, light, shoot and edit a simple green screen shot.